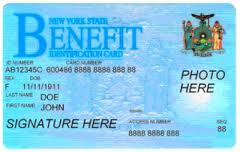 Food stamps have been at the top of the news ever since Gingrich named Obama the food stamp President”. According to the Wall Street Journal, 46 million people are on the program, that’s one out of every seven in a population of 322 million. Aside from Social Security, it is the largest welfare program in the country. Food stamps are money and money is fungible which means one form is as good as another. To say that food stamps are for food is folly. Food stamps are income and income can be spent however you wish. Everyone eats. Every family spends a portion of their income on food and the rest of it on everything else. Food stamps increase the portion that can be spent on everything else. The point here is not to condemn the Food Stamp Program. That’s an argument for another day. All we are saying here is that it is a de-facto general welfare program parading as something it isn’t. The program is genuine but the title is propagandic, chosen to make more palatable to the 53% of voters who pay tax. In the beginning, food stamps were stamps. But stamps haven’t been issued since the 1990s. Now the benefit comes in the form of a plastic card. It’s called an Electronic Benefits Transfer or EBT card. That’s not propagandic; it’s just a hold-over term, like ‘dialing’ a phone call. And the T in EBT stands for the truth because, after all, it is a card that transfers wealth. As long as we are on the topic let’s go all the way. There is no Food Stamp Program. It was ended in 2008. In that year the Food Stamp Program became the Supplemental Nutrition Assistance Program (SNAP). Now that is propagandic. This entry was posted in Opinion, Political philosophy and tagged Electronic Benefit Transfer, Food Stamp President, Food Stamp Program, SNAP, Supplemental Nutrition Assistance Program. Bookmark the permalink.